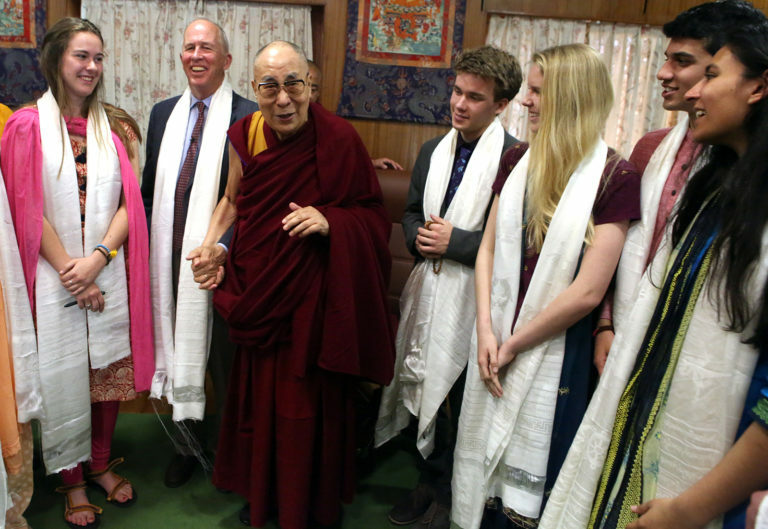 For the past decade, Mount Madonna School (MMS) teachers Ward “SN” Mailliard and Shannon Kelly have been using the Dalai Lama’s book, Ethics for the New Millennium as a core element of the senior year Values in World Thought curriculum. The program has been privileged to travel to India on three different occasions to meet, discuss, and ask questions about what we have learned from His Holiness’s book. This school year, the MMS senior class has been working on a booklet, which grew directly out of the classroom processes. In their study of Ethics for the New Millennium, the students read each chapter, and in class they divide in to small groups to discuss the readings. Each group chooses concepts that they view as significant, and then they create visual notes (drawings and quotes on poster-sized pads) that illustrate the main points of the book. These visual notes become the source of classroom conversations which in turn, help cultivate student understanding of this important book. 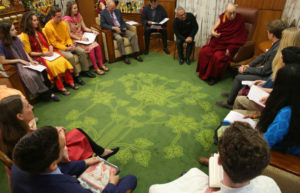 “We find that giving students the space to reflect on the reading and then choose for themselves what is meaningful and what they wish to discuss, deepens their connection to, and understanding of, His Holiness’s thoughts,” reflected Mailliard and Kelly in the new class booklet introduction. 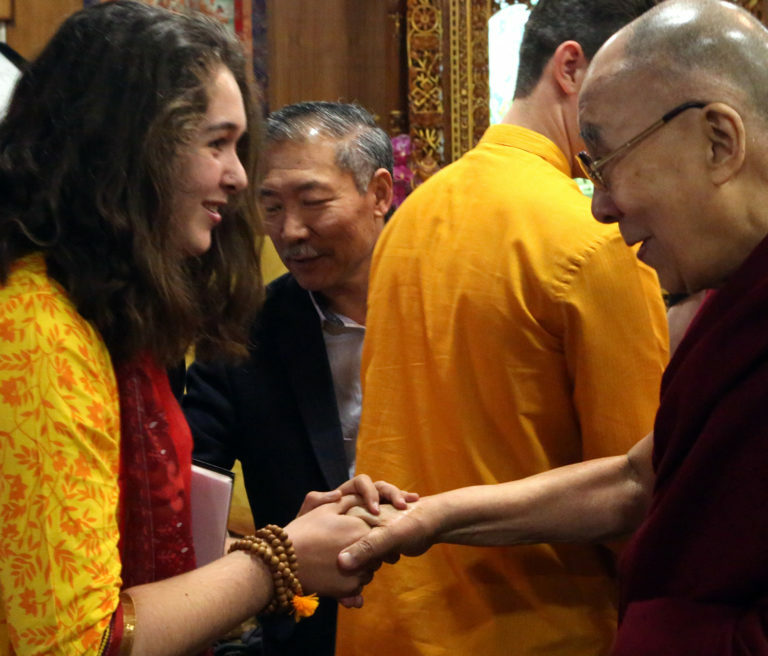 It has been six years since an MMS Values class has had the great privilege of meeting with His Holiness. “This was one of those pivotal moments when you give an enthusiastic ‘yes’ to something that is yet to be defined and then discover what needs to be done to accomplish the goal” commented Kelly. This new booklet is the result of that “yes.” It is the culmination of many hours of sincere effort, creativity, experimentation, failure, perseverance, and the belief that this group had something important to share. Ultimately, it is a testament to the reality that the best learning happens when teachers become facilitators and let students determine what is meaningful and relevant to them. 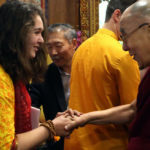 Both teachers and students said they were looking forward to sharing the Maitri Learning Journey to India – which will encompass a wide range of experiences, cultures, and insights into communities that are at the same time both very different and similar to our own – with family, friends and the broader public. And the meaning of Maitri? It’s friendship. 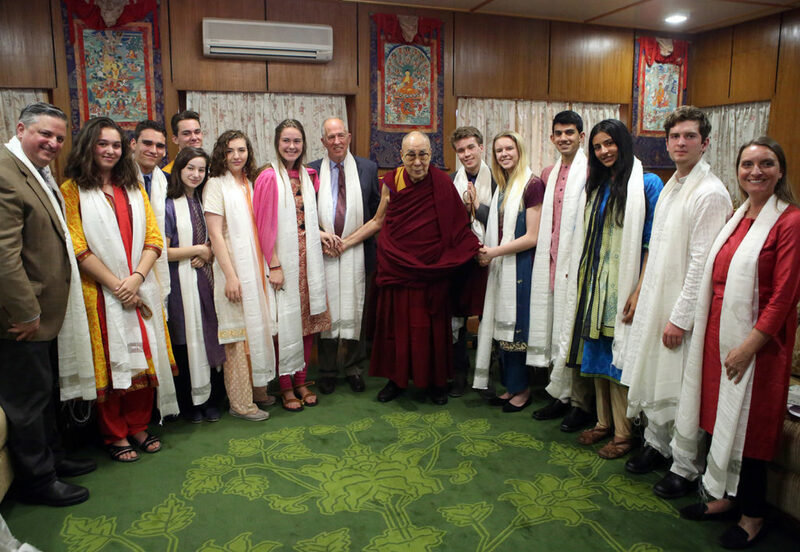 On March 28, the senior class did indeed have an audience with the Dalai Lama. The following is an excerpt from a reflection by student Luca Peruzzi about that meeting. To read more – visit the blog, india.MountMadonnaSchool.org for photographs, video and more student insights. “…Although I didn’t have the privilege of asking my question, many of the questions that were asked were ones with subjects that I felt a personal connection to,” reflected Peruzzi. “I remember a specific theme, and a few moments where His Holiness mentioned the state of the school systems of the world. He repeatedly mentioned the negative effects of the modern education system. 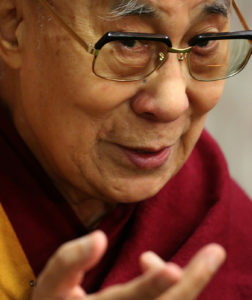 He spoke about the lack of emotional teachings in schools, and how this had detrimental effects on mental health. Another thing that I felt was of current, and personal significance, was the emphasis he placed on acting against global warming.